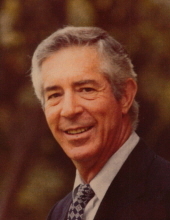 Adam Fairbairn Scott passed away at his home in Honolulu, Hawaii, on December 30, 2018, at the age of 92 years. He was born in Honolulu, Hawaii, to Adam Scott and Marguerite (nee De Friest). Adam was predeceased by his first wife of thirty-five years, Jeanne Whitman (nee Slayton), and is survived by his daughter Jennifer and sons Bradley and Dana, four grandchildren and three great-grandchildren. Adam was predeceased by his second wife of twenty-five years, Mary Jane (nee Anderson), and is survived by his stepdaughter Elizabeth and stepson Joe, four stepgrandchildren and one great-stepgrandchild. Adam was predeceased by his brother George Corwin Scott and is survived by his nephews John and David Duncan, and niece Anne. Adam grew up in Honolua, Maui. During the summers, he travelled with his brother Corwin and parents to Perthshire, Scotland, where his father grew up. During seventh grade, Adam lived with his maternal grandparents on Long Island, New York. He attended Honokohua School and Lahainaluna on Maui. Adam attended Punahou School on Oahu as a boarding student and graduated from Punahou in 1943. He enjoyed swimming, diving, golf, horse-back riding and playing the clarinet. Adam attended Yale University from 1943-1944, before serving two years in the US Army from 1944-1946. He returned to Yale in 1946 and majored in Industrial Engineering. Adam married Jeanne Whitman Slayton in New Haven, Connecticut, on April 2, 1949. After he graduated from Yale in 1949, Adam and Jeanne moved to Maui, Hawaii, where he worked for Baldwin Packers. They moved to Ewa Plantation on Oahu in 1951, where he was Methods Engineer for Castle & Cooke. In 1958, they moved to Kohala, Hawaii, where he was Industrial Engineer at Kohala Sugar Company. Jeanne and Adam moved overseas with their three children in 1961 to Ecuador, South America. He was General Manager for Hawaiian Agronomics Company International, a subsidiary of C. Brewer. After eight years, they returned to the US to Tampa, Florida, then to Hilo, Hawaii, where he was Director of Engineering for C. Brewer. Jeanne and Adam travelled overseas again in 1972 to live in Iran, where he was Project Director for Hawaiian Agronomics, directing the agricultural and industrial development of the Moghan area. In 1979, he returned to Castle & Cooke, working for Dole Food Company. Jeanne and Adam lived in Columbia, Costa Rica and Honduras. In 1986, Adam married Mary Jane Anderson Bryant in Lubbock, Texas. Adam retired as General Manager for Dole Food Company in Honduras in 1989. They moved to Texas and lived there for twenty-three years. Adam played golf and he and Mary Jane enjoyed travelling. In 2014, Adam returned to Hawaii to be near family in Honolulu, and to live independently at Arcadia Retirement Residences, where he made friends, played cribbage, and served as President of the Arcadia Association. Memorial services will be held on February 9, 2019 at Nuuanu Memorial Park & Mortuary, 2233 Nuuanu Avenue, Honolulu, Hawaii. Visitation at 10:30am and Service at 11:30am. Gifts may be made in his memory to Punahou School, 1601 Punahou Street, Honolulu, Hawaii 96822. To send flowers or a remembrance gift to the family of Adam Fairbairn Scott, please visit our Tribute Store. "Email Address" would like to share the life celebration of Adam Fairbairn Scott. Click on the "link" to go to share a favorite memory or leave a condolence message for the family.